Chocolate Bar Bouquet is exclusive to Eros Flowers and makes a great gift for anyone for any occassion. Available for same day delivery. 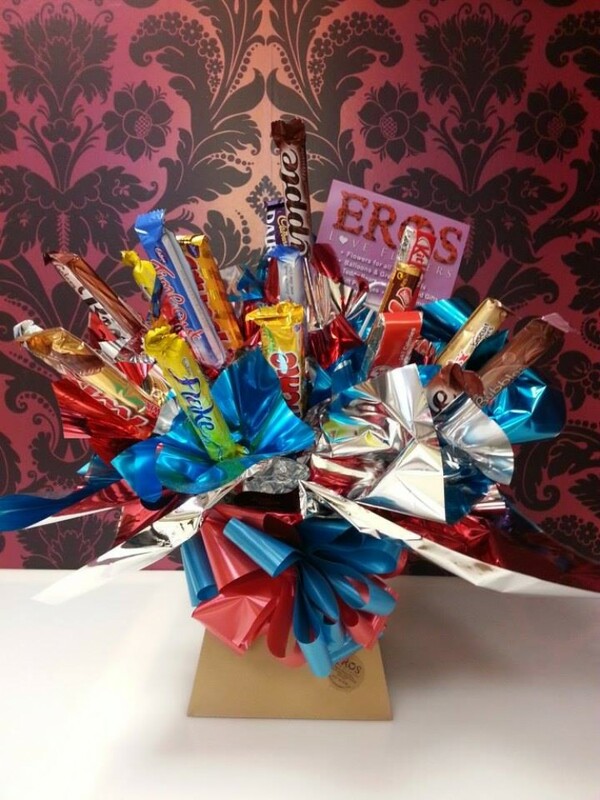 Selection of chocolate bars put together in a stylish manner to make this bouquet. Also available in other colour wrapping. Please call the store on 0121 783 5750 to check availability.